REQUIREMENTS: Rattan reeds, 100ml Ocean Mist fragrance, Blue liquid colouring, 500ml Diffuser oil base, 3 Diffuser glass bottles METHOD: Divide your 100ml ocean mist fragrance equally among the three bottles. Top up each bottle with diffuser oil base. Put 1-2 drops of blue colouring in each bottle, cork and shake to mix through well. 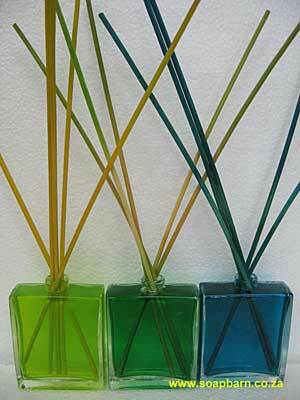 Then add 10 – 12 diffuser rattan reeds to each bottle. Ocean Mist is a wonderful, pleasant, clean and gentle fragrance for the house. 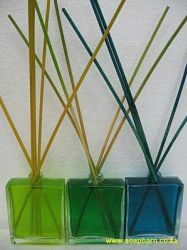 Place the diffusers in different parts of the house or office for ultimate freshness.